Jenna and Seth Adam raise and train horses and teach others proper horsemanship. They also train outside horses and hold a large variety of events at the Lazy K Arena they manage for owner Mike Lilienthal. Whether it is the little girl with a big smile on her face after learning a new skill with her 4-H horse, or the horsewoman who came to the arena to compete in a reining competition and became interested in the versatility clinic, or the people who need help training a horse they are nearly ready to give up on, one Grand Island couple gets a lot of satisfaction out of helping horses and teaching people how to work with their horses. What started out as a 4-H project and a necessity on the ranch has grown into a full-time occupation for Jenna and Seth Adam. The couple raise and train horses, and teach others proper horsemanship. They also train outside horses and hold a large variety of events at the Lazy K Arena they manage for owner Mike Lilienthal. The couple have both grown up with horses being an important part of their lives. Jenna grew up on a farm near Hastings, Neb., and was always involved with cattle and horses. At nine, she started the 4-H program and began working with her 4-H horse leader who was a strong competitor in rodeo and training horses. “I learned a lot from her about the basics of horsemanship and how to train horses,” she explained. While playing basketball at college in Hastings, Seth and his uncle went to some horse training clinics given by Bryan Neubert. Seth said he learned a lot from the horse clinician, and by the time he was 21, Seth was taking in horses and breaking them for other people. Now the couple work together using their expertise with a wide variety of horses, and teaching people how to properly ride their mounts. Seth spends most of his time training horses. He works primarily with ranch horses, but has also trained everything from roping, reining and performance horses to dressage and race horses. “I definitely like to work with cow or ranch horses the most,” he said. “But, I also get a lot of feedlot, trail and performance horses, and a few Thoroughbreds. Most of the horses are two to three year-olds,” he explained. “But, I’ve worked with horses as old as 13. “I have no certain requirements of what I will take for training,” he said. “I have worked with horses that have never been touched, to horses that have been worked with quite a little,” he said. Jenna’s specialty is problem horses and teaching others to ride. “The horses I work with vary in age,” she explained. “A lot of them are ones that take advantage of their owners by being pushy or disrespectful. I like to work with the horse first, and then the owner so I can teach them how to handle their horse and make it respect them. I always tell people, ‘If I can ride your horse, that’s great. But, if you can’t ride your horse, you are wasting your money’,” she said. The couple has been very well received in the Grand Island area. “Where this facility is located, we get a lot of traffic,” Seth explained. “We board a lot of horses here, too, so we try and hold a variety of events all year round to keep people interested in coming here. We both like working with people, and with my ranching background and Jenna’s 4-H background, we can help a lot of people,” Seth explained. “There are not a lot of people in our area who can work with problem horses and start colts, so we have a lot of people who come to us for help,” Jenna continued. The couple, as well as people who use the arena, also benefit from the many horse training experts who hold clinics and frequent the arena. “We have the benefit of getting a wealth of knowledge from these trainers that we can apply to our own training,” Jenna explained. Jenna also works with 4-H youth. “I have a 4-H group that meets weekly at the barn during the spring and summer,” she said. During the meeting, the youth practice their horsemanship skills and working safely with their horses. Jenna also offers riding lessons for beginning and intermediate riders. She said although some of her students have their own horses, others live in town and don’t own a horse, they just want to learn how to ride. 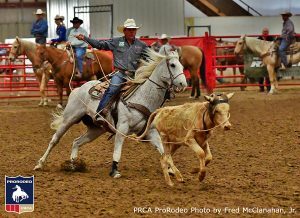 Among those events are jackpot team ropings, saddle ropings, horse shows, versatility ranch horse clinics and shows, ranch rodeos, groundwork clinics, 4-H Fun Days, and some AQHA reining competitions. Seth added they also hold bull riding clinics and jackpots using the portable bucking chutes they can bring into the barn. “In the wintertime, we also hold a weekly team roping practice,” he said. The couple also has a small horse breeding operation where they raise, train and sell the colts they produce. “We have a foundation bred Quarter Horse stud named Cowboy Joe Snip,” Seth said. “He is a ranch bred cow horse. We just started breeding him to some of our mares. We are excited to see what the results will be. Our mares go back to Hancock and Two-eyed Jack. Our goal is to raise gentle, athletic cowy horses that anyone can get along with,” he said. Jenna added that she and Seth each work with the colts training them. “When we finish them, we sell most of them privately, but we have went to a few sales,” she said. “We prefer to sell them privately, if we can, because we have a little better idea of where they are going and what they will be used for,” Seth said. The couple is particularly proud of a new mare, who is a Snicklefritz and Realgun offspring, they just purchased that they hope will help build up the athleticism of their herd. “Other than that, we plan to continue to produce good, usable horses,” Seth said. Seth said in the future, they plan to add an outdoor arena and grandstands to the current facility to host more rodeos and some USTRC roping events. 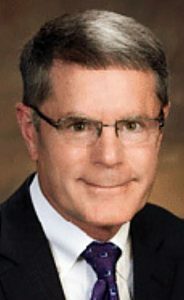 They would also like to see more horse transporters stop there overnight, and be able to offer more overnight facilities for horse show and rodeo travelers, Seth said. The couple also does leatherwork making chaps, breast collars and headstalls. Jenna also makes some home decor. Seth can repair saddles. 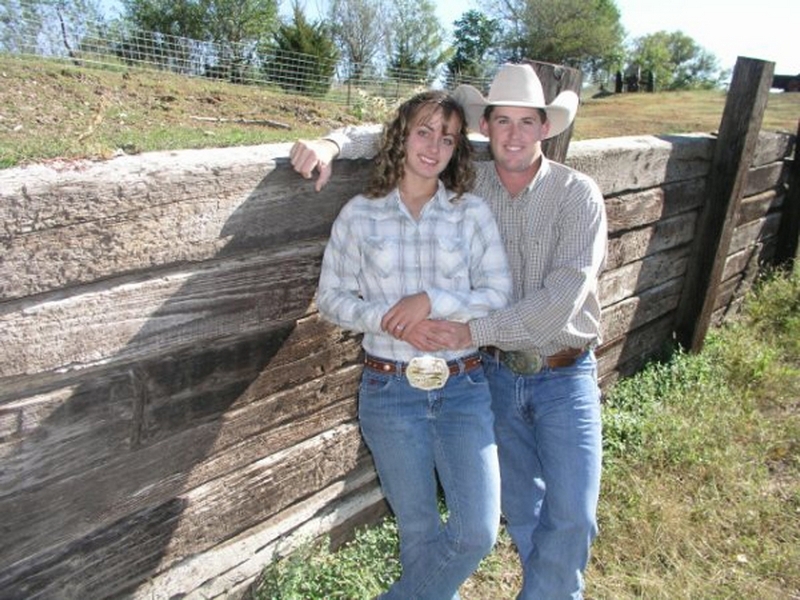 To learn more about Seth and Jenna Adam and the Lazy K Arena, contact them at (877) 477-4717 or see their website lazykarena.com.